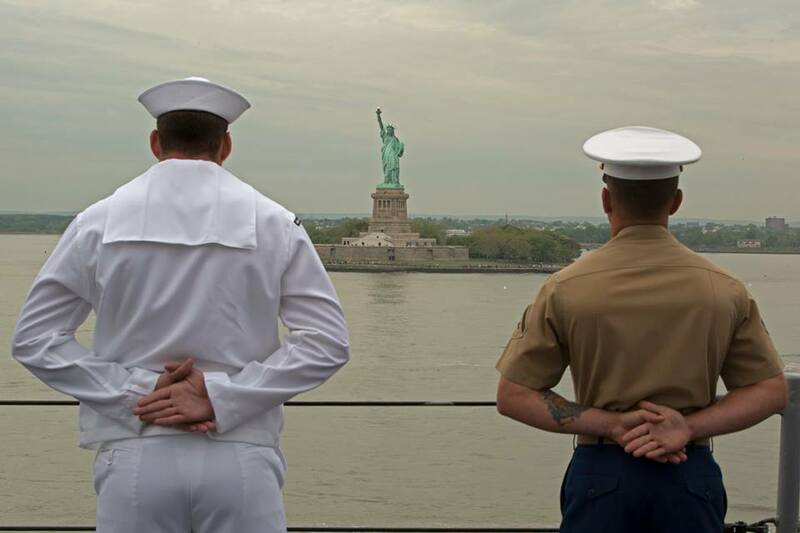 Fleet Week New York, now in its 27th year, is the city’s time-honored celebration of the sea services. It is an unparalleled opportunity for the citizens of New York and the surrounding tri-state area to meet Sailors,Marines and Coast Guardsmen, as well as witness firsthand the latest capabilities of today’s maritime services. The week-long celebration has been held nearly every year since 1984, and it is anticipated that nearly 1,800 sea service members will participate this year. Navy ships, patrol boats, Coast Guard cutters and more will make for some camera-worthy views as the annual Parade of Ships takes over the Hudson River for two hours during the annual Fleet Week in New York. This year the parade runs from 10 a.m. to 1 p.m. on Wednesday. Various ships will participate in the Parade of Ships including three U.S. Navy ships, four U.S. Naval Academy Patrol boats, and two U.S. Coast Guard cutters. The parade can be seen along the Hudson River, with vantage points in Weehawken, Hoboken, Jersey City, Guttenberg, and all along the waterfront up to the George Washington Bridge, where the ships turn and then return south. For up-to-date information on all Fleet Week events, visit the official Fleet Week New York website at www.fleetweeknewyork.com, “Like” FleetWeekNewYorkon Facebook, or “Follow” @FleetWeekNYC on Twitter. Fleet Week New York photos can be viewed on Flickr at www.flickr.com/photos/fwnypao. Join the conversation on social media by using #FleetWeekNYC. 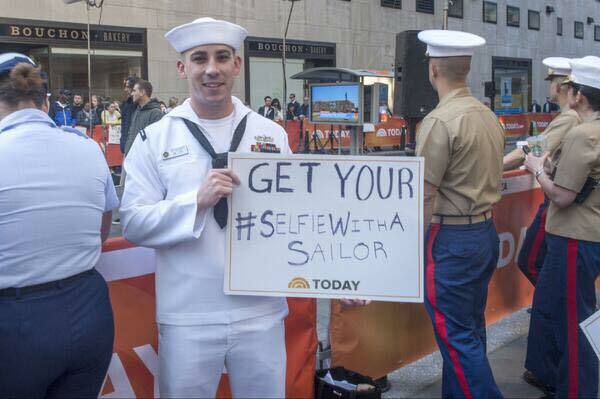 Share Fleet Week New York ship tour experiences on Twitter and Facebook by using #SelfieWithASailor.